Hello dog eared readers! You may have noticed that it had been a little quiet over in this corner of the internet for the last week or two, I apologise for the disruption in service – leaves on the line would have been a much better reason for the lack of book news but actually there has been a whole host of irritating niggles that have led to me not being able to get in front of a computer, including emergency dentist visits for pesky wisdom tooth problems. As I type this I must confess that I am also not in my usual spot for writing, in fact I am in a whole other country, Crete! My sister, her husband and my two gorgeous nephews live over here and also my mum and dad have a house just a couple of villages away from them. There is no where better to escape to for some good reading time, with little to distract me I can usually be found either on the balcony over looking the mountains while I read, or by the sea or a pool with book in hand. As luxurious as all this is, my mode of transport over here isn’t exactly the 5 star experience – Ryanair in its cheap and cheerful (actually, scratch cheerful, those working on board didn’t seem so thrilled to welcome anybody on the aircraft!) blue and yellow plane brought us over here. To save on the pennies I always travel with hand luggage only but this does mean a very serious problem rears its head, how do I pack all the books I need?!! To deal with this I have made a system with my family. Before we leave for the holiday I will phone my mum and we will chat through our bookshelves, each agreeing to only bring books the other has also not read, meaning we then double our library. When we then apply this to my dad and my sister this means I can stop having sleepless nights over the potential of a reading void. 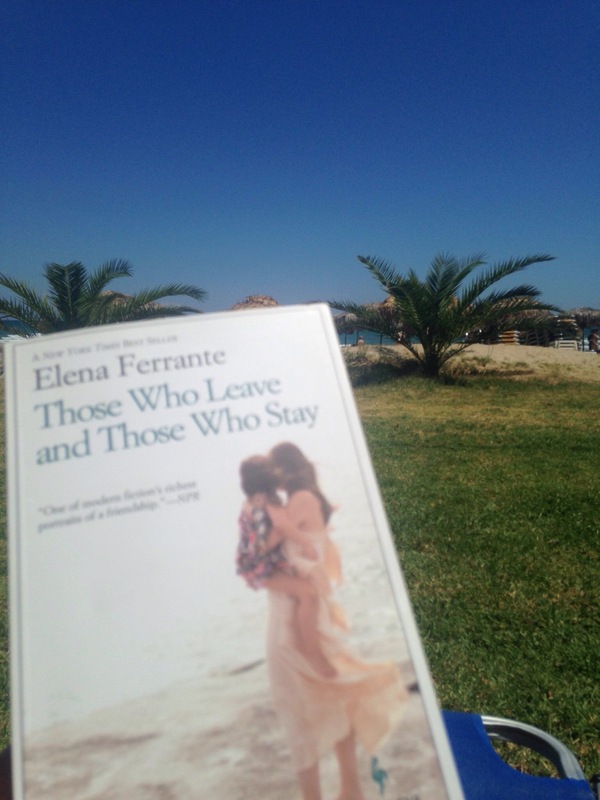 ‘Those Who Leave and Those Who Stay’ by Elena Ferrante £11.99 (Europa Editions) – This is the third in the Neapolitan Series and if you haven’t yet started them get to a bookshop pronto! I could easily have read all 4 books in this series back to back, but working in the bookshop, blogging and the like means that I like to get some variety in there for chatting to people about the goings on in the literary world. This enforced break between each book may have actually done me good as it has ensured I have taken my time and really savoured the stories. I have just over half way through the third and as with the previous I am finding myself proclaiming to those around me that the story has developed to become even richer, the characters more complex and the relationships so wholly absorbing I feel myself having physical reactions to the sufferings of those I have come to care for within the pages. This book really moves the plot along from the second, you can feel that the times they really are a changin’ for those living in Naples, both politically and personally (although in this novel for me the ‘personal is political’ could never be more true). Ferrante is an author with fire flowing through her pen and I feel its full force now, with less than a third to go I really should be getting on …! 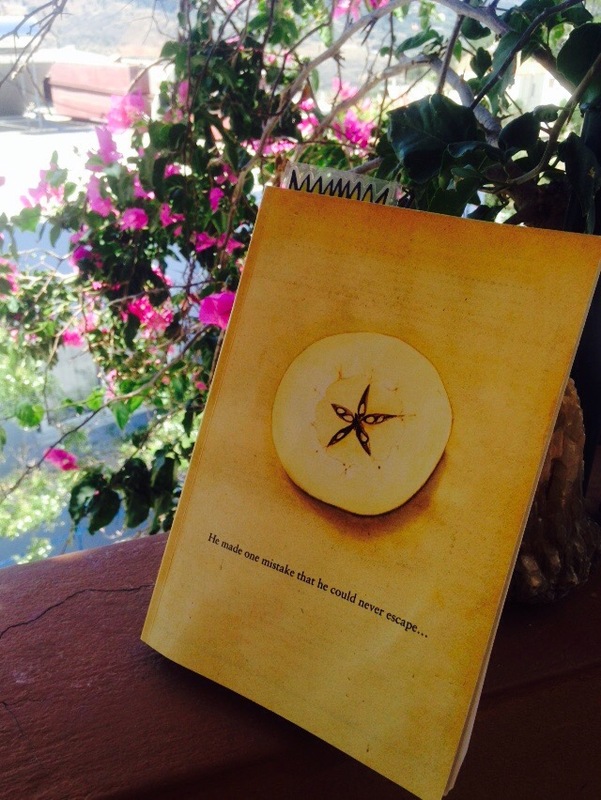 Those biding their time on the shelf include The Moth, a collection of 50 of the greatest true stories told at The Moth evenings in America. If you haven’t yet came across these events, which have now spread to London, Dublin and Edinburgh, I urge you to keep an eye out. What once started as a small literary salon event has quickly gone national with its success, where anybody with a true story, that is so often stranger than fiction, is welcome on to the stage to speak for ten minutes without any notes. I currently listen to the podcast of these live shows and have been moved to tears and also hysterical laughter, I always get odd looks on the bus when plugged into this, so I can’t wait to get stuck into this curated selection. It also comes with an introduction from the night Neil Gaiman, always a seal of quality! Next up is a book I confess I know little about, other than it is regularly spoken about in the bookshop I work in, ‘The Glass Room’ by Simon Mawer. A novel that focuses on the comings and going of a whole host of different characters who all pass through one building at a tumultuous time in history, the Second World War. I’m going into this one pretty blind so I will report back when I finish. Last but by no means least is the new Tracy Chevalier ‘At The Edge of the Orchard’. I’ve had this ready to go for a while and I’ve been really looking forward to it but it was waiting for its time, you know how some books demand to be read when they are ready?! I have a feeling this book is going to put me in an Autumnal frame of mind, but again I am approaching this with very little knowledge of the book, so we shall see! Until next time, happy reading guys! P.s apologies if there is even more typo’s than usual, typing on a phone while squinting in the sun means it may not have been checked too thoroughly!